Les Arcades, Modern Villas Master plan in East Beirut. The master-plan project is split into 30 plots. The site is literally a cliff, with steep topography reaching almost 80 degrees. We were commissioned to create a masterplan which links all the plots together, though creating an appealing architecture that respects the site, topography and the history of the surroundings, mainly the “Arcades of Zbeida”. 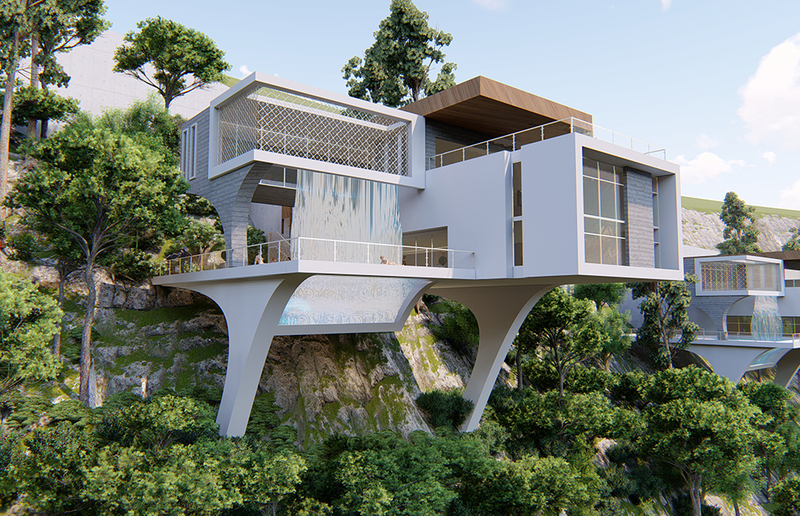 The plots were designed to have a single access from the upper street, the reason being is to elevate the villas, and reduce the amount of vertical transportation in the site, and this strategy eliminates any diggings and manipulation of the site. 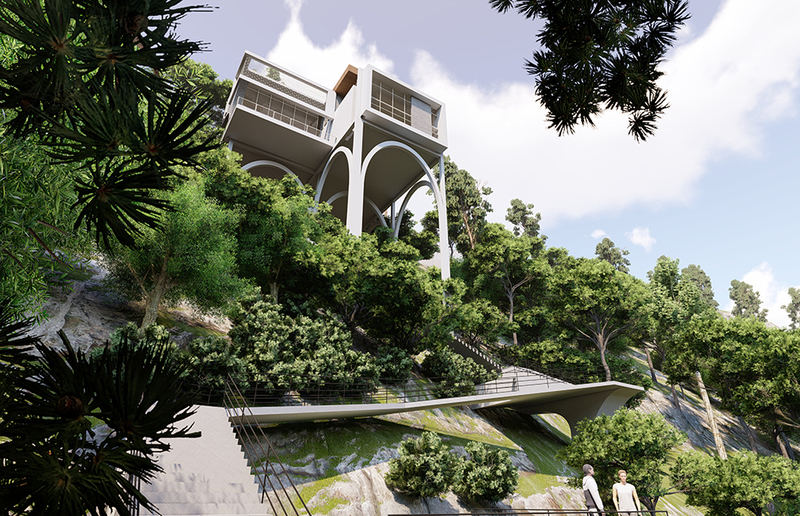 The Villas are designed to blend within the Topography, they are all raised into a platform held by arcades. 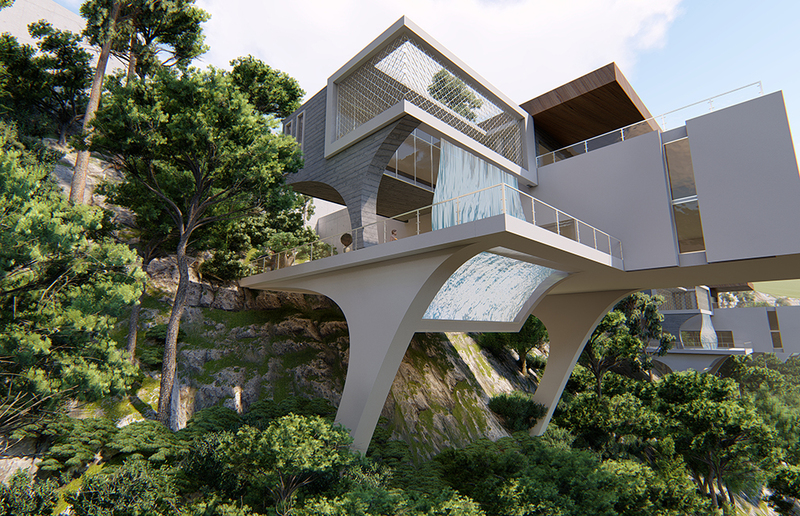 The Pillars could stretch down to 40 meters to support the villas above. 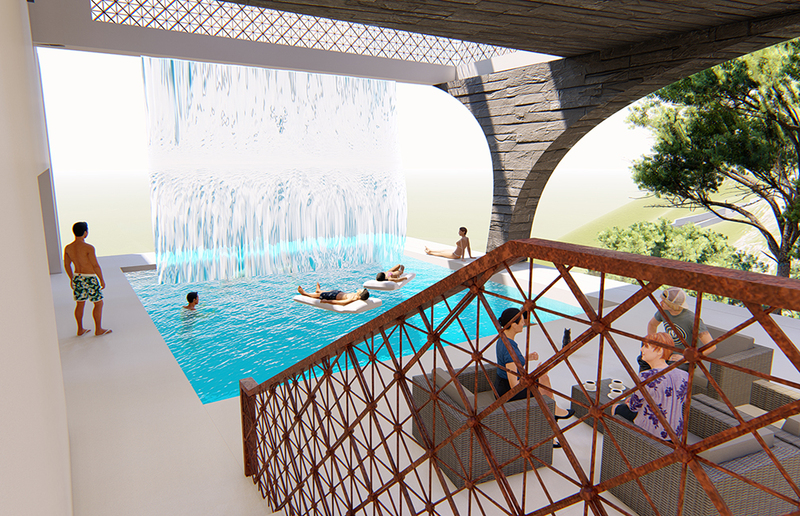 The Villas are designed to maximize the view from all aspects, that’s the reason for a proposal with glass bottom swimming Pools.